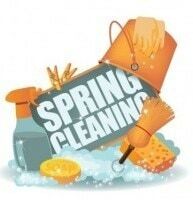 It is the time of the year where everyone will be busy tidying up the house, throwing unwanted items and doing a thorough cleaning! Chinese New Year is around the corner and if you are inviting your friends over for housewarming or even a game of mahjong for entertainment, you will definitely like to have your house in the best condition to welcome your friends, especially if you have just moved into your newly renovated house. Chinese also believe that doing spring cleaning before the new year is to sweep away the bad luck of the previous year to welcome the new year! 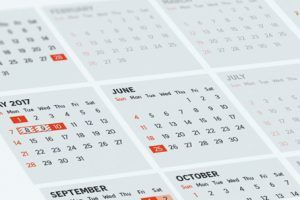 It might sound too business-like to even make a schedule for spring cleaning on how you will like to clean up your house as we all know spring cleaning is impossible to complete in a day and there are many sections to the house, hence planning on the schedule is important as it will affect one another. Clean and tidy your house by sections. You can start off by the bathrooms, follow by bedrooms, then kitchen and storeroom; and lastly the living room. Chinese has a saying ‘工欲善其事，必先利其器’ which means if you would like to do the job well, first you will need to have the best tools before you can successfully execute the job. Our main ‘tools’ used are mostly natural ingredients such as lemon and vinegar which are safe for everyone to use. 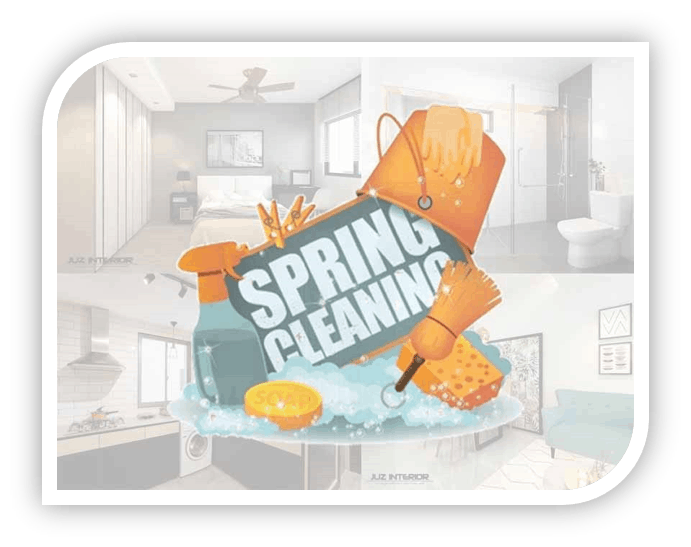 Every year when it comes to spring cleaning, there are definitely many unwanted stuffs to clear off but you may not bear to throw away a lot of things at the same time. 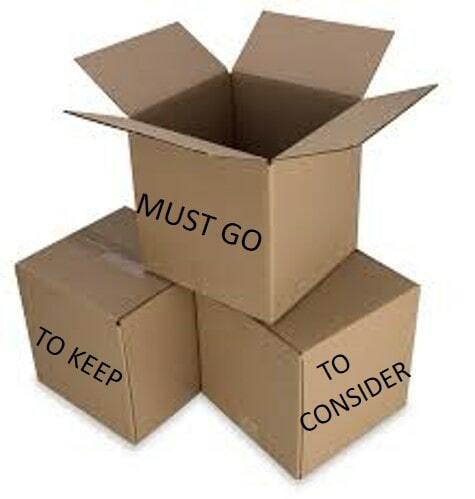 Why not get yourself organized first by having 3 huge boxes indicating ‘MUST GO’, ‘TO CONSIDER’ and ‘TO KEEP’. Many times, often you will find the box ‘TO CONSIDER’ to be the one that is full. Set your mind for those items you do not need, throw in the box ‘MUST GO’, if not the items will end up to be collecting more dust at home and it will accumulate every year. As for the ‘MUST GO’ box, it can be further split into ‘RECYCLE’ or ‘DONATE’ and ‘BIN’. Most people do have microwaves at home these days as we are busy with our working life and others hence, we will require fast and efficient ways to heat up food in the shortest time. However, too frequent use of microwave will have to clean up regularly. Fill a microwave-safe bowl with water, two tablespoons of white vinegar and a few drop of fresh lemon juice/few slices of lemon (to counter the smell of vinegar), then put it on high temperature for 5 minutes. Do not open the door and let the steam to be trapped inside to loosen the food gunk for another 5 minutes. After which, remove the bowl (be careful it is HOT!) and wipe the inner of the microwave with a dishtowel. If there are any stubborn spots, dip the dishtowel into the water with vinegar and lemon and scrub till the spots goes away. This is usually the only time of the year that you will clean your fridge completely. Believe it or not, most of us do not have the habits of clearing the fridge on regular basis but instead, we will just keep adding in more items. Accumulated expired food, food that has turned bad, sauces turned watery, etc are some of the things you can find in the fridge and they caused the stale smell in the fridge too. First, you will need to remove ALL items from fridge. Prepare a large Styrofoam box or cooler box with lots of ice. Put the food items inside the box. Unplugged your fridge. Next, check through all the bottles and boxes of sauces, food in the fridge for expiry dates. Throw away those expired items. For those without expiry date, examine the food condition and if it has turned bad, throw them away. No one will like to have food poisoning. Start the practice of labelling on the packages of the food items of the expiry date before you keep them. 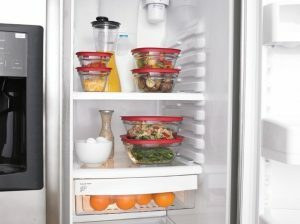 Keep your opened food items in airtight containers. Then, do a thorough cleaning of the fridge, using cloth with detergent or liquid soap. Scrub the shelves, wipe the inner corner of the fridge and also the space underneath the drawers, not forgetting the handles and outside surface of the fridge. As food is concerned, it is preferred to use natural ingredients instead of chemical products. Hence, to remove the bad smell from the fridge, you can make use of baking soda spread on a baking tray to soak up any odor from the fridge. Remember to open the door of your fridge with your fridge unplugged, to air it out and let the baking soda do its job. If the odor smell still remains, you can also add dried coffee grounds in a bowl in the fridge as coffee has the ability to absorb the smell of things around them. 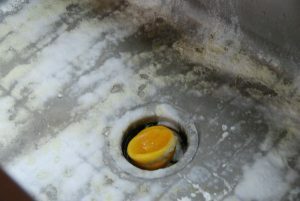 Sprinkle a thick layer of baking soda generously at the base of the water sink and squeeze the lemon juice over the baking soda and leave it to sit in for a few minutes. Use a sponge to mix the baking soda and lemon juice into a paste and scrub the sink, add some water if needed. Leave it for a few minutes again. After which, pour the white vinegar over the paste and continue to scrub, please note that some fizzing will occur. Then use running water to wash off the sink. 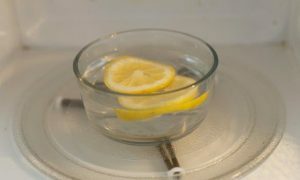 Squeeze more lemon juice in the sink to give off a refreshing smell to the sink. 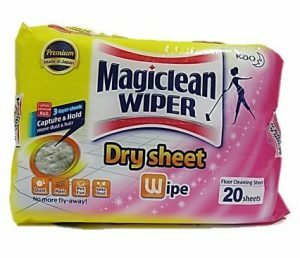 I believe you have seen before Magiclean wiper and as the name of the product suggested, it can magically clean away dust very well. To have optimize result, rub 2 dry sheets together to produce static where it can pick up more fine particles. 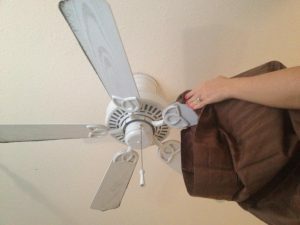 If you have ceiling fans that have not been cleaned for some time, cover the fan blade, one at a time, with an old pillowcase, pull it back slowly to wipe the blade and the dust will be trapped inside the case, instead of falling all over the floor and your face. As for ladies, it has always been a headache to tidy up your wardrobe. However, it is still a must to tidy up regularly or at least once a year during spring cleaning, otherwise the space in the wardrobe never seem to be sufficient. Set your mind and prepare for the 3 boxes – ‘MUST GO’, ‘TO CONSIDER’ and ‘TO KEEP’. For those that are fairly new but you know that you will not wear it anymore, donate it to those who need them. For those turn yellowish or dirty due to not taking good care, see if they could be recycled or not throw them away. DO NOT hesitate in doing so. 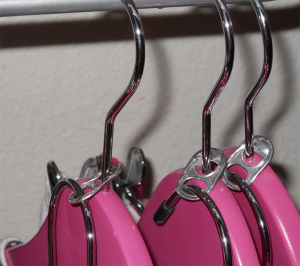 If you have a tall in height yet short in length wardrobe, you can consider using a used can tab to hang around the neck of the hanger for you to hook another hanger of clothes or to match it as a set. Remember to place some dehumidifier in the wardrobe to keep the moist away. 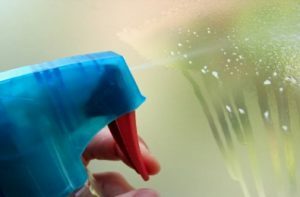 Mix white vinegar; detergent or liquid soap with plain water in a spray bottle, which act as a window cleaner, and clean with newspaper and the effect might even be better than those commercial window cleaners sold in the market and the best thing is that it is chemical free which is safe for family especially those with young children. 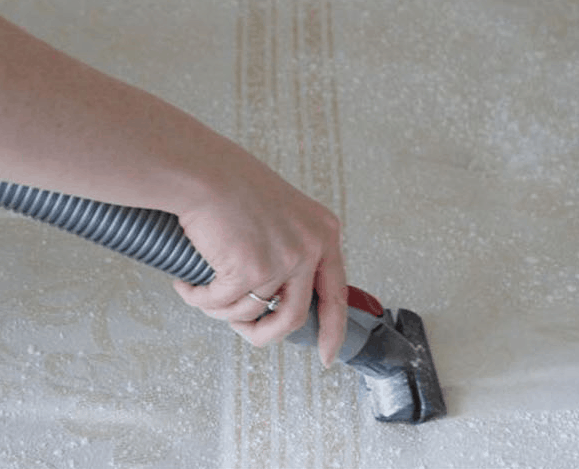 Spread a layer of baking soda over the mattress and leave it for a few hours then use a vacuum cleaner to vacuum the baking soda up. The traces of dirt and smell will disappear. Cut a lemon into half and scrub the tap, it will help to remove the water stain and dissolve the buildup residue around the base of the tap too. Wipe clean with a towel. 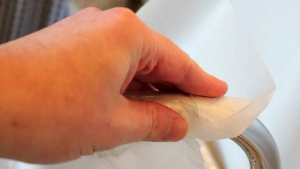 After which, use a wax paper to rub the tap where it could polish off the remaining water marks that cleaning misses and the wax could also help to repel water for a while. 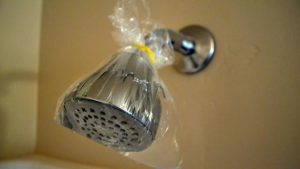 Pour distilled white vinegar in a bag and wrap it around the shower head with a rubber band or twist-tie. Leave it for a few hours or even overnight and let the water run through it for a few minutes. The residue left on the showerhead will be removed. 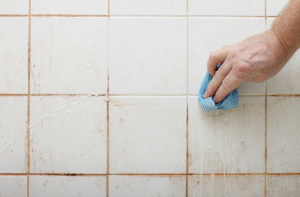 In between the shower tiles on the floor or wall, you will find mold been built up after a while and it is inevitable. Rather than using bleach, try using natural ingredients such as baking soda mix with water and scrub it with a used toothbrush. For tougher stains, you can use baking soda with vinegar to sit in first before scrubbing off with a sponge or toothbrush. 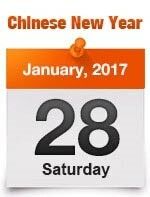 It is time to start your spring cleaning of your house in preparation for Chinese New Year! A clean & tidy house to start off the brand new Rooster Year! Have fun cleaning! Leave Your Big Ideas with Us!